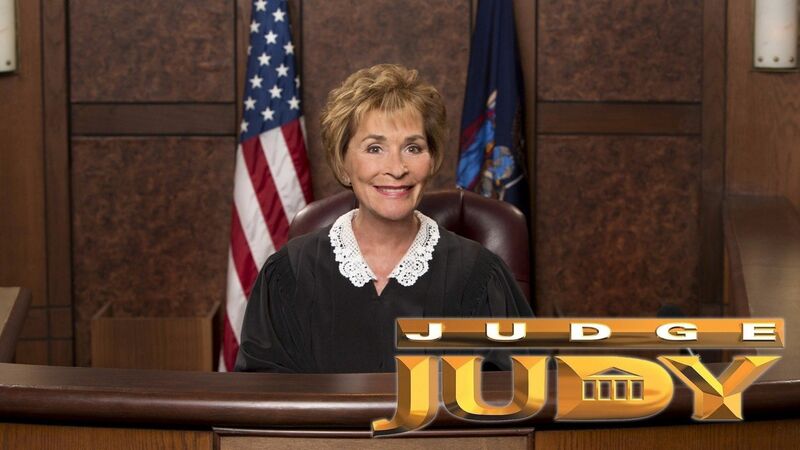 Here's where to watch every episode of Judge Judy season 9. Mouseover or tap an episode to see where to stream it. Click or tap the play icon to stream it on the best available service. S09E01 Sep 13, 2004 A man is accused of sleeping with two daughters from the same family; a woman insists that she does not owe her ex-boyfriend money. S09E02 Sep 13, 2004 A factory worker sues her former lover for falling asleep at the wheel and crashing her car; a restaurant owner accuses a young waitress of not charging patrons for sodas. S09E03 Sep 14, 2004 A woman sues her ex-husband for the return of her son's baby memorabilia; a rocky relationship leads to accusations of harassment and vandalism. S09E04 Sep 14, 2004 A woman convinces her landlord to help pay for her breast augmentation; a battle between high-school students involves retaliation for a racial slur. S09E05 Sep 15, 2004 Unwed parents argue over a ring; a teenager slides on ice and crashes his sister's car into a tree. S09E06 Sep 15, 2004 A BMW owner says an angry motorcyclist damaged her car in a fit of road rage. S09E07 Sep 16, 2004 A young woman says the father of her child skipped town and left her with the bills; a model says her former roommate sold her pet bird. S09E08 Sep 16, 2004 An ex-convict says his former fiancee cleaned him out while he was in jail; an unleashed dog bites a child's face. S09E09 Sep 17, 2004 Alleged catfight over concert tickets. S09E10 Nov 17, 2004 A blind woman sues her father for an unpaid loan; a truck driver says he was forcibly removed from his father's house after a heated argument. S09E11 Sep 20, 2004 A teenager accuses her older brother of stealing money she was saving to pay for college; a woman sues her former lover for credit card charges. S09E12 Sep 20, 2004 Best friends from college run into big problems living together; a teen goes off to buy breakfast for his friends, totals a car and gets arrested. S09E13 Sep 21, 2004 Childhood friends end their relationship after a heated argument over domestic violence, loans and vandalism. S09E14 Sep 21, 2004 Two sisters dispute the whereabouts of a video game player; a mechanic is accused of damaging his friend's car in a jealous rage. S09E15 Sep 22, 2004 A woman says her ex-lover killed her dog; a bartender says he was drunk when he signed a promissory note to his lover. S09E16 Sep 22, 2004 A man says his ex-fiancee vandalized his car in a drunken rage; a runaway tire crashes into a car carrying a woman and child. S09E17 Sep 23, 2004 A waitress says a friend punched her in the face during a heated argument; battle over car damages. S09E18 Sep 23, 2004 A woman accuses her former lover of stealing a washer and dryer; a music producer sues a recording artist for breach of contract. S09E19 Sep 24, 2004 Sisters-in-law argue over a repossessed Jeep; a dog attacks a student. S09E20 Sep 24, 2004 A nurse demands her former lover repay her for bail money - he says she stabbed him. Leaving Ex to Pick up Car Payments After Bankruptcy Sep 27, 2004 When a woman files for bankruptcy, her angry ex-husband is stuck with car payments; a salesman says his mother-in-law is being vindictive when it comes to his motor home payments. S09E22 Sep 28, 2004 An intoxicated teenager asks her unlicensed friend to drive; a minister argues with a travel agent when plans for a religious-themed cruise go awry. S09E23 Sep 29, 2004 A man says his jealous ex-girlfriend assaulted him; best friends call it quits after a night of drinking and driving. She Knew It Was My Ring! Sep 30, 2004 A woman says her missing ring appeared on her sister-in-law's finger; a nurse sues her former lover's new wife for money allegedly owed on a car. S09E25 Oct 1, 2004 A bartender denies harassing her ex-lover and his wife; a hairstylist accuses an ex-lover of punching her computer. S09E26 Oct 4, 2004 A woman says her former friend feigned romantic interest in her to get a free trip to Spain; partygoers blame each other for damages to a limousine. S09E27 Oct 5, 2004 A therapist says her former lover owes her money she loaned him for a truck; ex-lovers feud over a broken lease. S09E28 Oct 6, 2004 A cheese-throwing incident leads to a bloody fight between teenagers; a pilot sues for damages to his plane's wing after neighbor left a trashcan in the taxiway. S09E29 Oct 7, 2004 A woman says her 20-year-old son is skipping car payments - he says his mom is trying to control his life; a waiter demands that his ex-girlfriend return his waterbed and rollerblades. S09E30 Oct 8, 2004 Patron sues nightclub owner for medical bills after she fell while fleeing a brawl inside his club; a student demands palimony from his ex-fiancee. S09E31 Oct 11, 2004 A carpenter says his former lover reneged on car payments after her car was stolen; a waitress says her ex-lover gave her a car as a gift. S09E32 Oct 12, 2004 Woman and her daughter sue teenager for crashing into daughter's car - he says the driver, daughter's boyfriend, cut him off; woman sues ex-boyfriend for cost of helicopter rescue during a snowmobile trip. S09E33 Oct 13, 2004 A homemaker says her troubled teenager created havoc in her home; married truck drivers sue their daughter's boyfriend for the return of a water bed. S09E34 Oct 14, 2004 A man accuses a housewife of puppy snatching; a former couple argue over a dresser and an engagement ring. S09E35 Oct 15, 2004 Man sues former employee for value of stolen property - she countersues for defamation of character; authorities get involved when former friends wage war over a used sewing machine. S09E36 Oct 18, 2004 A man disrupts his court-appointed anger-management class and his mother sues for a refund; former best friends argue over rent and bills. S09E37 Oct 19, 2004 A collection agency owner sues over repossession of her car after she stopped making payments, claiming the repo man slashed her tires, lost her dogs and verbally assaulted her. Chihuahua 911! Oct 20, 2004 A Chihuahua rescue worker fears for an animal's life; man sues ex-girlfriend for money owed due to breach of contract - she promised not to throw him out of the house. S09E39 Oct 21, 2004 A woman accuses her ex-lover of abusing her children; a divorced couple wage war over their repossessed home. S09E40 Oct 22, 2004 A landlord and tenant accuse each other of assault; a woman regrets giving her teen nephew a cell phone. S09E41 Oct 25, 2004 A mother of five accuses her ex-lover of stealing money that was to be used to bail her out of jail for not paying child support. S09E42 Oct 26, 2004 A man sues his stepson for repayment of a loan; a man is accused of stalking and assaulting his neighbor while her husband was in jail. S09E43 Oct 27, 2004 A sandwich-shop manager sues for damages after being punched in the mouth by a disgruntled employee; schoolteacher and recording studio owner argue over the cost of musical tracks for a children's compact disc. S09E44 Oct 28, 2004 Young ladies argue over road rage incident (with visual aids! ); a woman says ex-boyfriend owes for his share of a trip. S09E45 Oct 29, 2004 A drug and alcohol counselor sues her former best friend for totaling her car while drinking and driving; a student sues her landlord for damages after a burglary. S09E46 Nov 2, 2004 A teenager totals a car on a test drive; divorced parents fight over promotional T-shirts and digital camera. S09E47 Nov 2, 2004 A mother wages war with her father over DUI fines and child visitation; dance and yoga instructors argue over rent, boyfriends and personal property. S09E48 Nov 3, 2004 A bride's father demands a refund for wedding costs; a woman sues her ex-husband for forging her name on a check and cashing it. S09E49 Nov 4, 2004 A teenager is caught vandalizing a friend's home; a construction worker sues his son's ex-girlfriend for back rent. S09E50 Nov 4, 2004 A teenager says she was severely beaten by her two former best friends while her ex-lover watched. S09E51 Nov 5, 2004 A teenager is accused of selling counterfeit jerseys on eBay; a caretaker and her niece argue over a wrecked car. S09E52 Nov 5, 2004 A car salesman sues a customer for defamation of character; a student sues her boyfriend's sister for the cost of a guitar and a PlayStation. S09E53 Nov 8, 2004 Breast-feeding may have been the cause of an assault. S07E54 Nov 8, 2004 A teenager sues her ex-boyfriend for money she allegedly lent to him; a spa owner sues an ex-employee for the cost of a tanning machine. S09E55 Nov 9, 2004 A construction working sues his ex-wife for allegedly bruising their young son; bitter divorcees clash over the cost of their daughter's wedding. S09E56 Nov 9, 2004 A man says his ex-friend punched his pregnant girlfriend in the stomach. S09E57 Nov 10, 2004 A surveillance video shows a man ramming into his neighbor's car; a business owner sues her brother for allegedly backing out on car lease payments. S09E58 Nov 10, 2004 A teenager claims a crazed driver caused him to wreck; a woman is accused of breaking into her ex-boyfriend's apartment and stealing his personal belongings. S09E59 Nov 11, 2004 A long-distance relationship ends in a dispute over money; partying teenagers allegedly pitch a tent on top of a car. S09E60 Nov 11, 2004 A woman sues her boyfriend for unpaid bills; a woman claims extensive injuries after a chair is pulled out from under her. S09E61 Nov 12, 2004 A teacher's assistant accuses music producers of sexual harassment; a woman claims her jealous ex-lover trashed her truck. S09E62 Nov 12, 2004 A teenager claims she was jumped and beaten at a mall. S09E63 Nov 15, 2004 A mother sues her teenage daughter for insurance money. S09E64 Nov 15, 2004 A carpenter is accused of terrorizing his ex-girlfriend's daughter and her cat, and selling her belongings; a toy-store employee used a company snowplow to dump ice on a co-worker's car. S09E65 Nov 16, 2004 A woman accuses her daughter's ex-boyfriend of freeloading in Jamaica; a dispute revolves around a chicken suit. S09E66 Nov 16, 2004 A teenager sues her grandmother for reneging on her promise to buy her a class ring; a construction worker says a 4-year-old girl broke his car windshield. S09E67 Nov 17, 2004 A teenager says her best friend's brother tried to race her car but only succeeded in burning out the clutch; former friends haggle over car payments. S09E68 Nov 17, 2004 A woman and her stepdaughter fight about an unpaid loan; an author from New Orleans says an astrologer revealed personal details about her love life online. S09E69 Nov 18, 2004 Former fiances accuse each other of assault and theft; a California man sues a teacher for damages after her dog ran into his Porsche. S09E70 Nov 18, 2004 A painter says an angry ex-lover deliberately ran over his dog; a 10-year-old girl is accused of slamming her shopping cart into a woman's ankle. S09E71 Nov 19, 2004 Women allegedly broke each other's car windshields; a man says his neighbor threw a rock through his front window. S09E72 Nov 19, 2004 A retired Florida man says son's former friends threw cans of paint through the front window of his home; a man sues his daughter for backing out of an agreement to create a family photo album. S09E73 Nov 22, 2004 A Southern Californian sues an artist friend over a "horrible" mural; an Indiana teen and her boyfriend dispute the status of a motorcycle. S09E74 Nov 22, 2004 A woman says a married handyman led her on; when a waitress sues the sister of her ex-boyfriend for the return of personal belongings, the defendant charges that the plaintiff was unfaithful to her brother. S09E75 Nov 23, 2004 Defendant's mother explains that he has self-control problems, which are very apparent in this court; a college man is accused of urinating on another student's computer. S09E76 Nov 23, 2004 The theft of beer and underage drinking parties ruin roommates' relationship; stray fireworks damage the car of a Georgia sheriff. S09E77 Nov 24, 2004 A contractor accuses his ex-wife's boyfriend of beating his 7-year-old with a belt; a bus driver sues his ex for support he paid for another man's child. S09E78 Nov 24, 2004 Divorced parents accuse each other of extortion and harassment after a confrontational visit; a mechanic and his neighbor's children make accusations of egging a house and threats with a shotgun. S09E79 Nov 29, 2004 A woman accuses a hypnotherapist of traumatizing her; a child breaks both arms after a friend's father throws him in the air. S09E80 Nov 29, 2004 A woman denies deliberately dousing her estranged husband's boat with water and ruining the motor. S09E81 Nov 30, 2004 Former girlfriend stands accused of spray-painting a car with obscenities; teen exes fight over cell phone bill. S09E82 Nov 30, 2004 A teenager says her mother took money left to her by her great-grandmother; a waitress denies stealing property from her ex-lover. S09E83 Dec 1, 2004 Fraudulent credit-card account tears a friendship apart; a rocky relationship ends in a battle over property and rent. S09E84 Dec 1, 2004 A dispute revolves around an engagement ring and furniture; a couple sue their son's ex-girlfriend for wrecking her car. S09E85 Dec 2, 2004 Parents argue about the cost of a trip to see their newborn baby; teenagers bicker over an alleged cell-phone theft. S09E86 Dec 3, 2004 A bar brawl leaves two men disputing violent assault charges; a golfer says her partner's bad shot hit her in the face. S09E87 Dec 6, 2004 A beekeeper is accused of stealing and wrecking his lover's car; beer spills on a laptop at a college party. S09E88 Dec 17, 2004 Unwed parents fight over child custody, rent and living expenses; a troubled teenager's parents and guardian battle over her living expenses. S09E89 Dec 8, 2004 Unwed parents dispute custody and an assault at a state fair; a waitress sues her sister for a wrecked car. S09E90 Dec 9, 2004 A disc jockey says his mother hit him over the head with a soda bottle; a woman accuses her neighbor of destroying a vacuum cleaner. S09E91 Dec 10, 2004 A woman sues her stepmother for the return of a quilt; a woman sues her teenage daughter for the cost of school and a prom dress. S09E92 Dec 13, 2004 A 7-year-old boy says he was attacked by a neighbor's German shepherd; a woman sues her son and daughter-in-law for truck repairs. S09E93 Dec 14, 2004 College students deny hitting golf balls off the roof of a rental property; a former couple argue over an engagement ring and a camcorder. Daughter Arrested by Mom Dec 15, 2004 A detention officer has her own teenager arrested, and her husband sues to bail out the child; a woman and her daughter fight over the cost of a computer. S09E95 Dec 16, 2004 A woman accuses her former lover of sexually assaulting her at gunpoint; sisters dispute expenses for a vacation taken to alleviate grief over a family member's death. S09E96 Dec 17, 2004 An assault with a squeegee causes a rift between neighbors; a construction worker says his former girlfriend never paid rent. S09E97 Dec 20, 2004 A factory worker's son faces charges of knocking out another boy's front teeth with a broomstick; the owner of a beauty salon says a new manicurist quit paying booth rent. S09E98 Dec 27, 2004 A housewife denies calling child-protective services on her sister; bitter ex-lovers bicker over the cost of a trip to Niagara Falls. S09E99 Jan 3, 2005 A mother accuses a church counselor of taking advantage of her while her husband was in prison; a professional boxer sues his ex-girlfriend for unpaid bills. S09E100 Jan 4, 2005 An interior decorator regrets having a relationship with a client she says is a con artist; a receptionist says financial aid from her older lover was a gift.